I learned to read music in elementary school (Immaculate Heart of Mary) before I began learning an instrument. I begged my parents for a guitar and I got one for Christmas when I was 10, lessons came 2 weeks later for my 11th birthday. I remember my parents taking me to see Peter, Paul and Mary when I was very young, I remember they had a double bassist on stage with them! 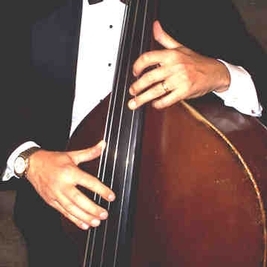 My double bass is German made, date unknown but pre-world war 2. I also use a Fender Precision circa 1970. I like to make musical connections around the world. My parents weren't musicians but they did like to listen to records at home. Musicals, mostly. AM radio in the 1960's was much more eclectic. Motown, rock and pop were all there, not segmented like the business is today. Too many bands to count, I haven't really joined many bands but have filled in with a lot of them. J.S. Bach, John Coltrane, Jimi Hendrix, Frdric Chopin, Charlie Parker - any of the great creators and melodicists. Biggest was probably thousands of people at the menorah lighting in Union Square, San Francisco. Smallest has been either in my own living room or some poorly attended club. Lots of memorable ones in between! Couldn't do it - I'd rather have none than only one over and over again! Another slice of "The Vaughn of Cal." 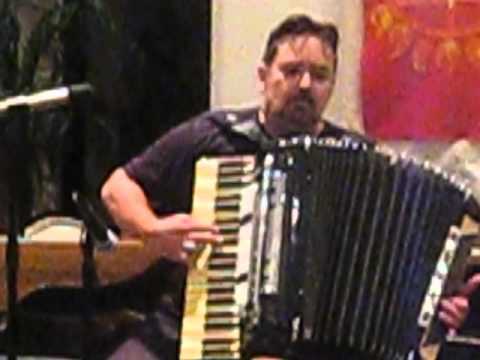 This one featuring Eric Morris on accordion performing his arrangement of Erik Satie's "Gnossiennes" with Joey Niehuis on percussion. An experiment in Summer. All instruments double tracked by me. Engineered by Igor Crull. An experiment in triple tracking on Thelonius Monk's "Evidence." Engineered by Igor Crull. An experiment in Green. I've been kicking these kinds of ideas around for a while and have recently had the chance to try them out. All instruments double tracked by me with Igor Crull doing the sound engineering. 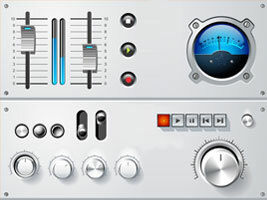 This version is a revision of an earlier mix with a new part added and another deleted. An experiment in Hush. I've been kicking these kinds of ideas around for a while and have recently had the chance to try them out. All instruments double tracked by me with Igor Crull doing the sound engineering. This version is a revision of an earlier mix with a new part added and another deleted. "Diana's Closet" from Larry Scala's CD "Double Gemini"
Kay Kostopoulos singing this lovely ballad at the Rick Ferguson's Holiday Cabaret show, Club Fox, Redwood City, December 19, 2013. 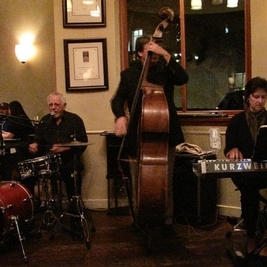 "Back in Funky Holler," from Larry Scala's CD "Double Gemini" with Larry the composer on guitar, Pete Magadini on drums, Ray Loeckle on sax, and me on bass. Recorded at Jim Day Recording, 2000. 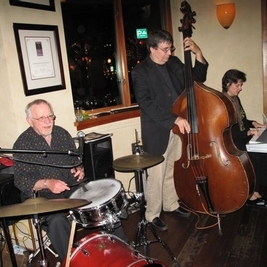 "Double Gemini," the title tune from Larry Scala's CD "Double Gemini" with Larry the composer on guitar, Pete Magadini on drums, Ray Loeckle on sax, and me on bass. Recorded at Jim Day Recording, 2000. 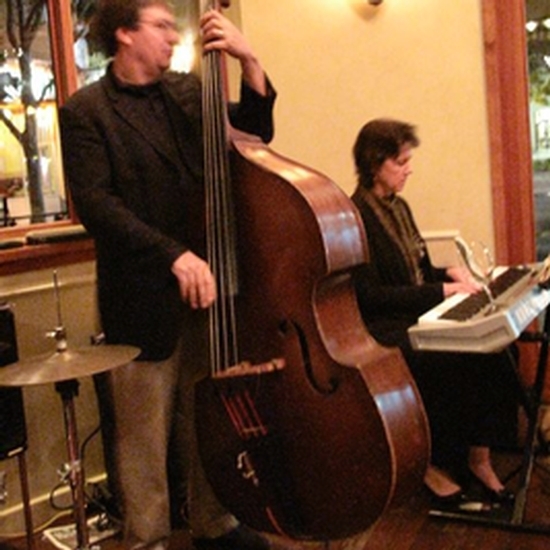 Recorded at The Los Altos Grill 8-16-2011 Kirk Tamura - piano, Perry Thoorsell - double bass, Kirk Abe - drums. Somehow Mars from Holst's "The Planets" was stuck in my head that night! 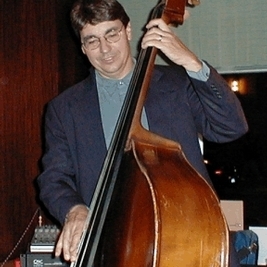 No One Ever Tells You featuring Singer Ron Kaplan, Guitarist Larry Scala, Bassist Perry Thoorsell. 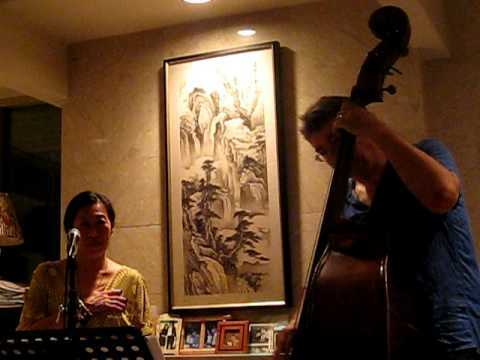 My wife, Cathi took a phone video of an impromptu performance at Moy Eng's house party. Moy wanted to do a duet, OK, then she wanted to do "You Go To My Head" in B - what is it about singers and keys? Still, it turned out pretty good. Thanks to Ron Kaplan for posting his version of "Cry Me a River" from his album Lounging Around. I'm in there with my friends Larry Scala on guitar, Donny McCaslin on tenor sax, and Peppe Merolla on drums. Thanks to Ron Kaplan for posting his version of "In the Wee Small Hours". You've got to love a trumpet solo that begins with a quote of "It Never Entered My Mind," thank you Dmitri Matheny. 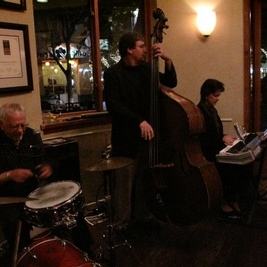 I'm in there with my friends Larry Scala on guitar and Peppe Merolla on drums. Ron Kaplan sings Blues In The Night from the recording Lounging Around Redux on Kapland Records featuring Steve Czarnecki Organ, Larry Scala Guitar, Peppe Merolla Drums, and me on bass. 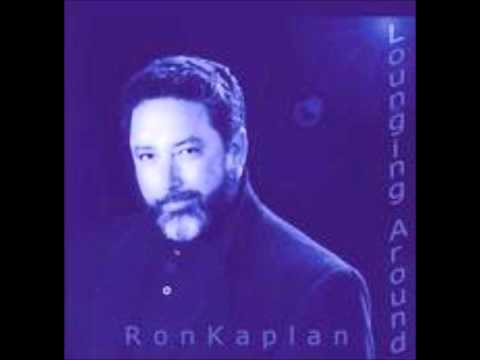 Ron Kaplan sings "Caravan" from his recording Lounging Around Redux from the indie label Kapland Records featuring Larry Scala guitar, Peppe Merolla drums, Donny McCaslin sax and Perry Thoorsell bass. 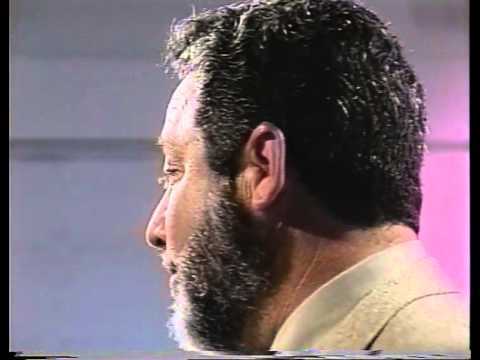 Ron Kaplan sings "Here's That Rainy Day" from his recording Lounging Around on the indie label Kapland Records featuring Larry Scala guitar, Perry Thoorsell bass, Donny McCaslin McCaslin sax, and Peppe Merolla drums. 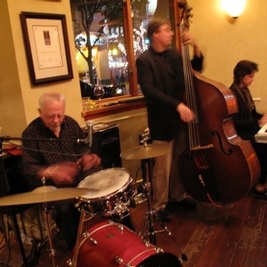 "What A Wonderful World," from singer Ron Kaplan's album Lounging Around Redux 2006 featuring Steve Czarnecki Organ, Larry Scala Guitar, Peppe Merolla Drums and me on bass. "How Insensitive," from singer Ron Kaplan's album Lounging Around Redux 2006 featuring Larry Scala - Guitar, Peppe Merolla - Drums, Perry Thoorsell - Bass and Dmitri Matheny - Fluglehorn. 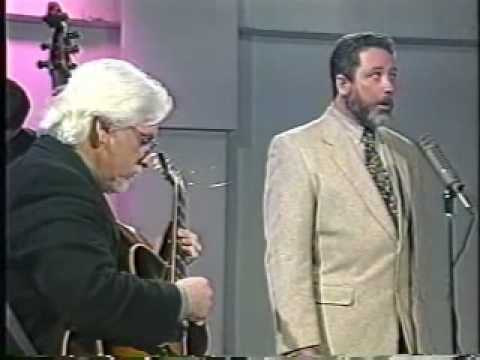 "How I Feel About You," I wrote this tune around 1980, performed here by Cal Lewiston -flugelhorn, Duncan James - guitar, me on bass, and Craig Oakley (RIP, my friend) on drums. Recorded at SFSU where they used to use musicians as guinea pigs to let the students engineer the sessions. 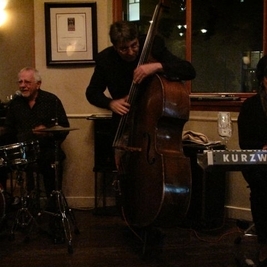 "All Blues" recorded live at A Perfect Finish (Yet another defunct club...), January 29, 2012 with pianist/leader Kirk Tamura and Stephen Marley. I probably wouldn't have ever thought of making this a bass feature but Kirk insisted - be careful what you wish for! I listened to this and remembered: hey, I'm on this session too! "I Will Wait For You" by vocalist Kiyoe Wakabayashi, pianist Jim Schneider, and Perry Thoorsell on bass recorded at Studio Pinkhouse. "Less Is More," Comp. Cal Lewiston, 1981 Cal Lewiston, flugelhorn; Jim Dukey, soprano saxophone; Duncan James guitar, Perry Thoorsell, bass; Craig Oakley (RIP), drums. 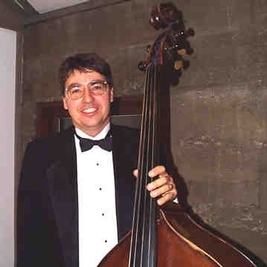 Another track of Cal Lewiston's early 1980's quartet with Duncan James, guitar; Craig Oakley (RIP), drums;... read more and Perry Thoorsell, bass. Cal's composition "Carnival Knowledge." 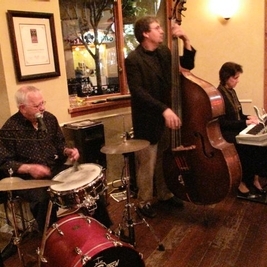 Here's Bud Powell's "Crazeology," the first tune of the night on May 18, 2012 at Piedmont Piano Company. Josh Workman guitar, Ben Stolorow, piano, Perry Thoorsell, bass, Bryan Bowman, drums. 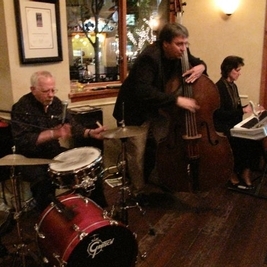 "Way Out Waltz," written and played by Josh Workman (gtr), Ben Stolorow (pno), Perry Thoorsell (bs), and Bryan Bowman (dr) from a show at Piedmont Piano Company in Oakland, May 18, 2012. As I recall, this was pretty much sight reading, and it turned out! From Nika Rejto's new album "Little Wizdoms" with David Rokeach on drums, Dan Zemelman on piano, Rick Vandivier on guitar, John Santos on percussion and me playing rock on acoustic bass! 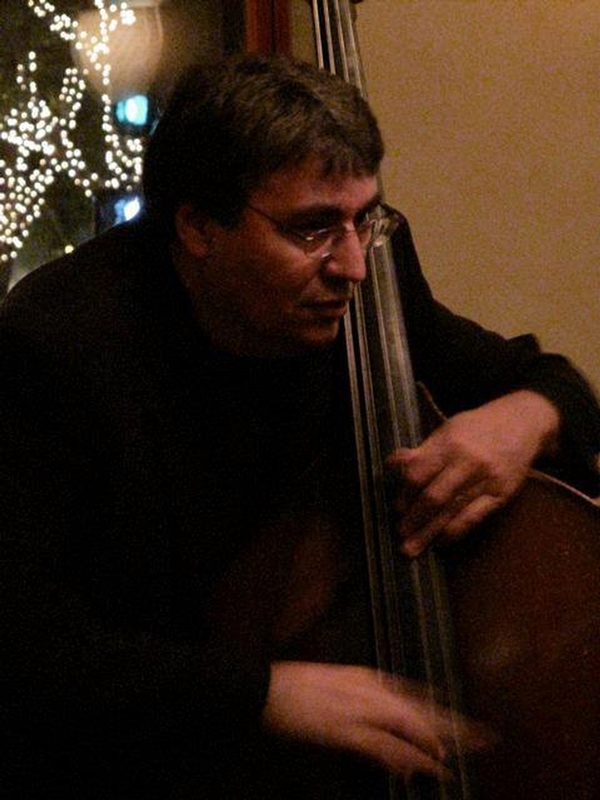 From Nika Rejto's new album "Little Wizdoms" with Dave Rokeach on drums, Dan Zemelman on piano, Rick Vandivier on guitar, John Santos on percussion and me on double bass. "Falling Star," from Nika Rejto's new album "Little Wizdoms" with David Rokeach on drums, Dan Zemelman on piano, Rick Vandivier on guitar, John Santos on percussion and me on acoustic bass! From Nika Rejto's new album "Little Wizdoms" with Dave Rokeach on drums, Dan Zemelman on piano, Rick Vandivier on guitar, John Santos on percussion and me playing rock on acoustic bass! "Felt Your Touch," from Nika Rejto's new album "Little Wizdoms" with David Rokeach on drums, Dan Zemelman on piano, Rick Vandivier on guitar, John Santos on percussion and me on acoustic bass! 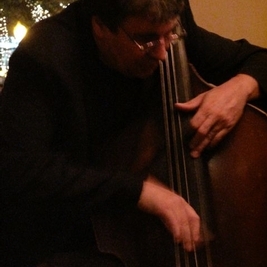 "Swallows," from Nika Rejto's new album "Little Wizdoms" with me on acoustic bass, Glen Pearson on piano. "Queen," from Nika Rejto's new album "Little Wizdoms" with me on acoustic bass, Glen Pearson on piano. 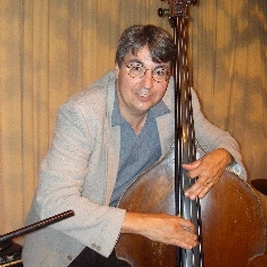 The title tune, "Capo" from John Capobianco﻿'s album of the same name. 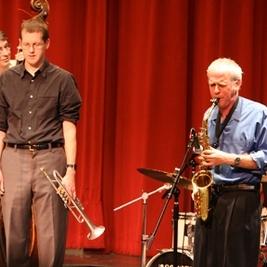 Recorded in 1994, written by and featuring John on trumpet, Jessica Williams﻿ on piano, Albert "Tootie" Heath﻿ on drums, and Perry Thoorsell﻿ on bass. © 1993 by John Capobianco used by permission. 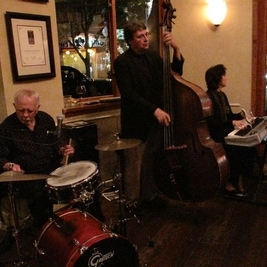 Herbie Hancock's "Dolphin Dance" live from the Los Altos Grill, June 14th, 2012 with pianist Kirk Tamura and drummer Ron Marabuto. Cedar Walton's "Fantasy In D" live from the Los Altos Grill, date unknown with pianist Kirk Tamura and Stephen Marley - drums. 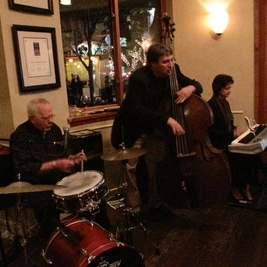 Irving Berlin's "The Best Thing For You Is Me" live at the Los Altos Grill 1/12/12; Kirk Tamura, piano; Stephen Marley, drums.